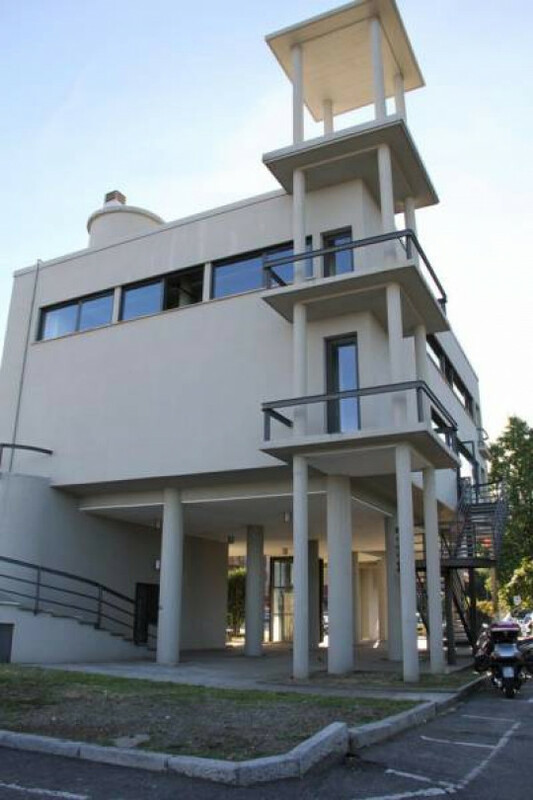 There are not many examples of rationalist architectural design on the western side of Lake Maggiore, with the difference of Como that hosts several Giuseppe Terragni's works and buildings, in the Verbano region there are just few examples of this particular architectural style. The sole, accessible for public visits, is a representative example of this type of architecture conceived by Luigi Vietti (Cannobio 1903 - Milan 1998). It is located in Verbania-Intra, right on the lake shore, next to the ferry port (1). The building is called at present the "Palazzo Flaim" and was originally used as the "Casa del Fascio" under Benito Mussolini (Predappio 1883 - Giulino di Mezzegro 1945). The "Casa del Fascio" was usually used as a building to host the local branch of the National Fascist Party and later, between 1943-1945, the Republican Fascist Party. During the time of the Repubblica Sociale Italiana (RSI), the building was used as a military barrack by the Black Shirt brigade "Augusto Cristina", and the building in Verbania was built between 1932 and 1935 according to the design done by Luigi Vietti, who will be briefly introduced further. The twentieth-century rationalism did not derive from a unified theoretical work, it started mostly from a common belief that the varied problems posed by the real world could be resolved by reason. In this context, the so-called rational architects followed the philosophy of René Descartes emphasized by geometric forms and ideal proportions. Rational Architecture thrived in Italy from the 1920s to the 1940s and was influenced by Deutscher Werkbund or Le Coubuisier. It was best represented by a group of young Italian architects like Carlo Enrico Rava (1903-1966), Sebastiano Larco (1901-? ), Guido Frette, Adalberto Libera (1903-1963), Luigi Figini (1903-1984), Gino Pollini (1903-1982), and Giuseppe Terragni (1904-1943). They founded the so-called "Gruppo 7", publishing their manifesto in the magazine Rassegna Italiana. Their intent was to strike a middle ground between the classicism of the Novecento Italiano Movement and the industrially inspired architecture of Futurism. Hence, "Gruppo 7" was aspired by a "spirito nuovo" in the architectural style, creating essentially a communication basis with Mussolini's idea of Fascism. The rationalist style brought a revival of the Italian classical epoch, connecting it from ancient Rome to modern times. But this connection with Fascism ideas and symbols stoped here. It's a bit awkward to consider rationalist architectural style as being only the Fascist style, even though it was so at the beginning. As a matter of fact, rationalists distanced themselves and their conceptions went far beyond from Fascism or Nazism ideologies. Luigi Vietti was born in Cannobio. Already as a young architect, he designed many buildings used by Mussolini's Fascist government as symbols of his political movement like the Palazzo Flaim, the Casa del Fascio in Rapallo and several other Case del Fascio in Ligury as well as buildings such as Stazione Marittima Andrea Doria in Genova. Vietti was a leading representative of the rationalist architectural style but also very modernist in the interpretation of rationalism, conceiving even chairs. Vietti survived the Second World War - at the difference of Giuseppe Terragni - dedicating himself to the realisation of prestigious villas and residences. Many buildings in Cortina d'Ampezzo and Dolomite Alps are done by Vietti searching for social representativeness and harmonious relationship with surrounding nature. He moved to Costa Smeralda, Sardegna working for Prince Karim Aga Khan IV, who commissioned him the design of many buildings. 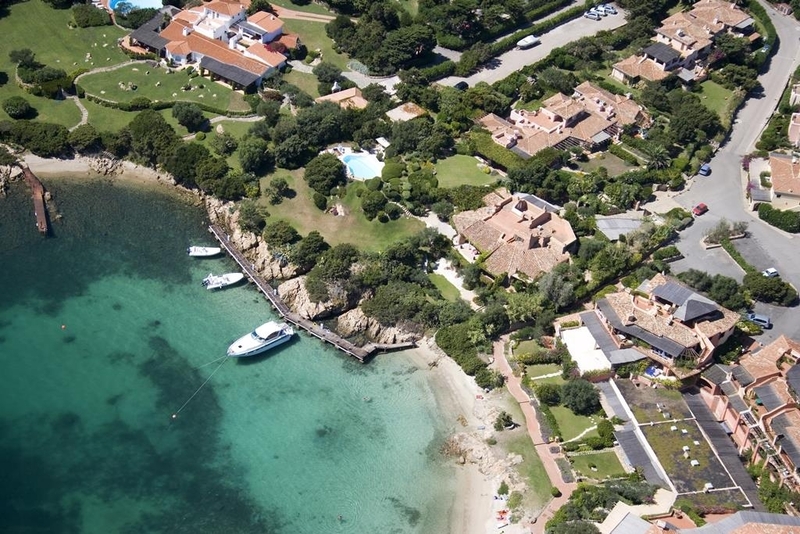 In the context of shifting from alpine settings, Vietti realised the center of the village of Porto Cervo and numerous hotels. The best examples are the Hotel Pitrizza, the Dolce Sposa complex and many prestigious villas such as the Cerbiatte, chosen by Prince Karim as his private home. Vietti died in Milan on March 28, 1998, at the age of 95. Luigi Vietti worked in Verbania contributing to the development of the city landscape marking an magnificent presence of his forms and sizes within surroundings: on could see, for example, the now gone Teatro Sociale di Intra, or the Palazzo Flaim has a privilege to remain, even after more than 80 years, this building shows its monumental and scenographic shapes. Supported by large columns, the Palazzo Flaim was built with the aim of creating a large convention area that we actually find on the first floor. In the backyard - toward north - it has no windows while in the other side a large fresco sang, now canceled, related to the fascist history. Ribbed windows were installed on the side towards the port and the tram. Upstairs there is a balcony, overlooking the living room allowing light to enter and making the interior very bright but avoiding reflections. Outside, there is a tribune leaning out towards to the city and the public; the background is a limpid wall covered with lightly colored marble slabs. The palace is still the subject of harsh criticism: some consider it as an example of Italian rationalism, as important as some of Le Corbusier's works, others do not understand its meaning and consider it as a bad work, others still see it as a symbol of fascism and nothing more. 1. Luigi Vietti "Palazzo Flaim" matter of fact is not the only example of rationalism on the shores of Lago Maggiore. In Cannobio at the entrance of the village - in a part of the village called Punta Amore - coming from south Verbania, there is also another building designed by Vietti. The private house not accessible is called Casa "La roccia", positioned on a rock promontory right in front of Lago Maggiore.